And spend one miserable day at pet emergency praying he will either puke it up or poop it out. We’ve been diligent in keeping the rocks out of Pongo’s reach: he wears the basket muzzle of shame at daycare, during recess and our No Rock Left Behind campaign last summer. And keeps the rocks on the ground! I thought I would never be blogging about this again. I was certain I would never again have to use the “Pet Emergency” or “Rocks” categories as I blogged. But today, I was proven wrong. We spent 1 1/2 hours waiting at Pet Emergency this morning, with an even longer wait ahead of us because it seemed to be Doggie-Ingest-Foreign-Objects-Day (there were at least 3 other dogs in front of us who needed X-rays). I called over to Diamond Animal Hospital to see how busy they were and they were able to get us in right away. The x-rays confirmed it–Pongo slurped down another bleeping rock! Thankfully, it was still in his stomach. The vet fed him, induced vomiting and up it came with no problem. Pongo has been doing so well lately–we’ve had no rock incidences since December. As far as we know, he’s faithfully been wearing the basket muzzle of shame at doggie daycare, so I suspect he got this rock from our yard. Our number one priority is to clear the yard of enticements. Someone not feeling too hot after returning home from our fabulous Mother’s Day outing. 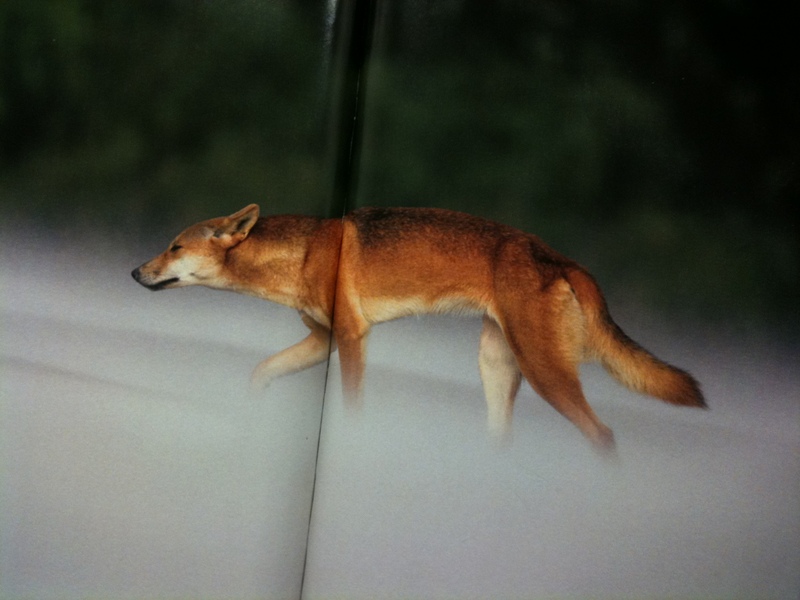 While sitting at Pet Emergency yet again, we came across this picture of a Dingo in National Geographic. It could totally be Pongo–just a lankier version of Pongo. By the way, Pongo seems to be faring well after eating another 4 rocks: two larger ones he regurgitated and 2 smaller ones he was able to pass. I just don’t know what we are going to do with this dog, except maybe make him wear the Hannibal Lecter mask while outside!